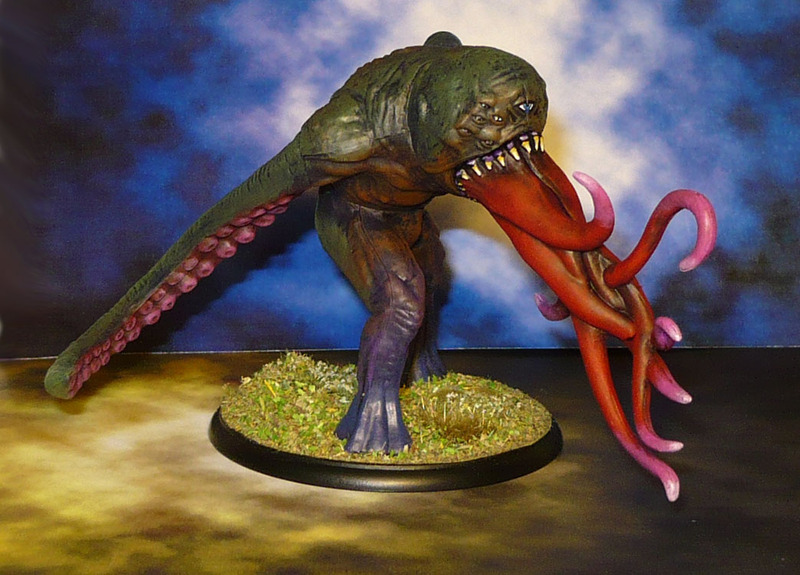 Gives a new meaning to “puking your guts out” doesn’t it? 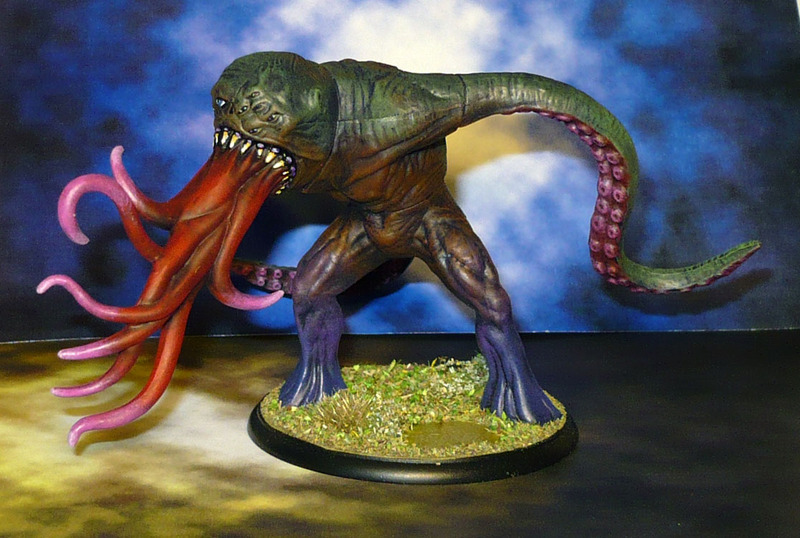 The Goliath, who is the end level boss from Shadows of Brimstone: City of the Ancients. 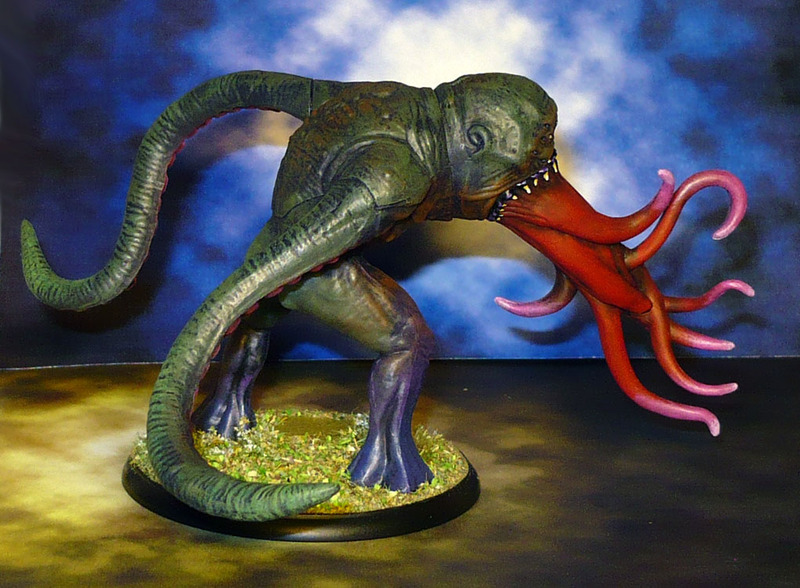 A greater daemon sized tentacled horror, Hard as nails in game, and usually does not appear alone! Presumably it feeds by vomiting its tendrilled aesophagus onto it’s intended food, and then slowly digesting them from the outside, or maybe it just captures and pulls its’ meal inside? The heroes are not sticking around to find out! this was all done by drybrushing over a black basecoat. I pull alot of colour off the brush, and rub vigorously.